Content is the primary currency of the web. It’s the way you engage your target audience, inform your customers and grow your influence. However, defining what ‘social content’ actually is raises a few eyebrows. We have to understand that content can encompass anything from a webpage to a one-line Twitter update. Social content applies to any content with the purpose of engaging real people. It’s not designed to inform or educate (although it can) it’s designed to get people talking to you and each other. So how can you start creating and initiating a social content strategy? Bonus: Download 33 free templates from Web Marketing That Works. The ‘customer persona’ is about targeting your product towards certain types of customers. 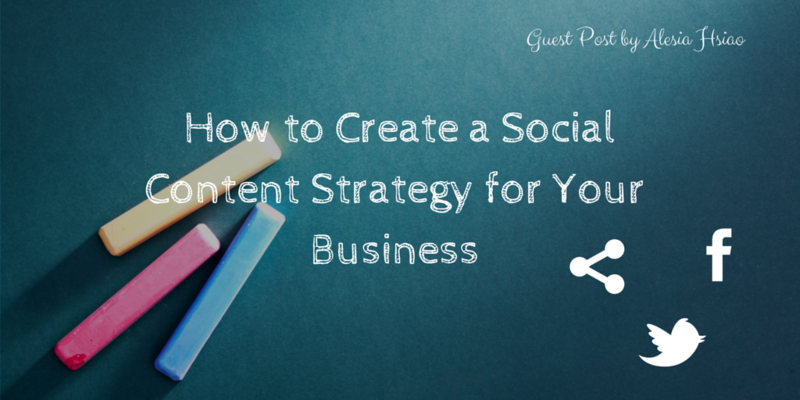 You must dig deeper to benefit from this when developing a social content strategy. Your goal is to target people through their emotions. The key here is to map specific and relevant interests. This is exactly what you have to do when creating ads for platforms like Facebook. To pull data for social content, you should start with social media accounts. Even though we’re speaking about targeting the emotional power points of people, everything must be backed by data. Facebook Insights and Buffer are two easy ways to see who’s engaging with your brand on social media. Both of these will show you your top performing updates, gender segregation of your fan base, and the age of your fans. The most important aspect you’re looking at is engagement actions. For example, on Twitter we would be most interested in the updates that received favourites, retweets, and direct replies. The key is to focus on status updates that came from you. Sometimes you can gain a lot of engagement from status updates shared from someone else’s account. This is piggybacking and shouldn’t be taken into account when it comes to original content. What was the post about? What was the intended value? As in, should it have brought a click or a smile to someone’s face? Why did it capture their attention? This could be anything from an image, a video, or the copy. Track things like whether it was in the first person/third person and whether there were any specific words shared with other popular updates. The only way to spot trends and make this more accurate is to study a large number of updates over an extended period. Yes, it takes a while, but that’s what you have to do. Before we go any further, you must know where your fans are most engaged and what type of content they are interested in. Once you know where your fans are active, you can decide what social content will perform the best. You may like to take your top performing posts (say 10%) and see what sort of content they were. This will give you an insight into what content you should publish moving forward. Take note, the posts you’re tracking should be relevant to today. Don’t track posts older than six months. The world of social media changes quickly. So far, we’ve defined what your social content strategy should talk about and how it should talk about it. Now we have to figure out how to brand it. Remember, engagement means nothing if it doesn’t strengthen the relationship between brand and customer. The answer is consistently placing published content into context. You want to make customers think about you whenever they see something similar. Always have a goal. This should be something you already know if you’ve done your customer research. Never force your brand into something it has no place. Content quality will always reign supreme. Ask yourself whether you would share it. If the answer is no and it’s something to do with your brand, get back to the drawing board. Don’t try to sell. The goal is to engage. Share so you don’t have to create. The chances are someone else has already created the content you want. Show your appreciation by sharing it. A social content strategy is about engagement not selling. You need to define the three key points of who you’re going to engage, how you’re going to engage them, and how to insert your brand into things. Nevertheless, even when you’ve established your strategy you have to monitor it on a daily, weekly, and monthly basis. The chances are you won’t get it right the first time. It can take months to tweak what you’re doing and come up with the perfect social combination. Alesia Hsiao has helped numerous businesses create social content strategies. When she is not doing this, you can find her blogging at FindVietnam.com. Download the 33 free templates from Toby and Adam’s new book.